Huge thank you to everyone for your support during my Save the Princess Sale! Sparkle is healing beautifully & has now moved onto the Cone of Shame stage. Poor thing! After the bandage came off her leg, the stitches are looking pretty good. The worst part is actually what the bandage did coming off. The vet seemed to be rather gentle, but it left big bloody red marks like she’d been waxed & strips of fur & skin were ripped off. I’ve been putting some antibiotic cream on it & trying to keep her from licking. 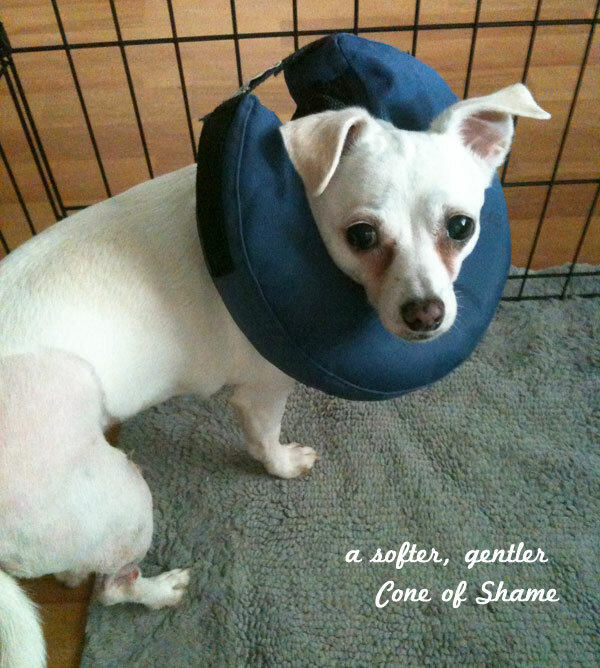 If she’s not sitting right beside me – she gets the Cone of Shame. Since the plastic cones are so uncomfortable, I picked up an inflatable one & it’s been working great. She can still lay her head down & rest. She doesn’t get stuck going through doorways. It seems much more comfortable. Well worth the purchase! Speaking of purchases – if you haven’t jumped on my sale bandwagon, get hopping! Need more art? Prints are Buy One, Get One FREE! No code needed. If you buy 1 print, just let me know which print you’d like for free in the notes on checkout. I’ve been busy adding new prints this week & so far have quite a few market favorites online. Finally! 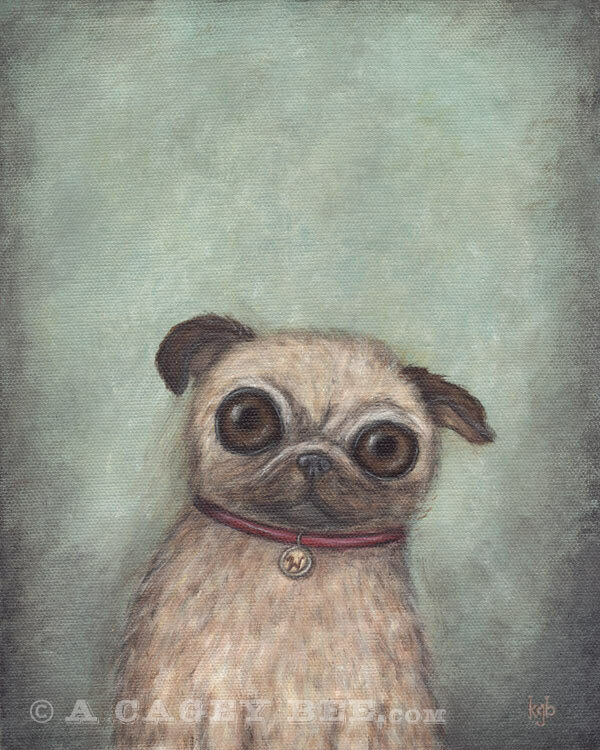 I’m embarrassed to admit that this little pug somehow never made it onto my Etsy shop as a print! He’s one of my favorites & always a popular one. I had the pug necklace added, but somehow forgot the art print. Whoops! For the horse wranglers! 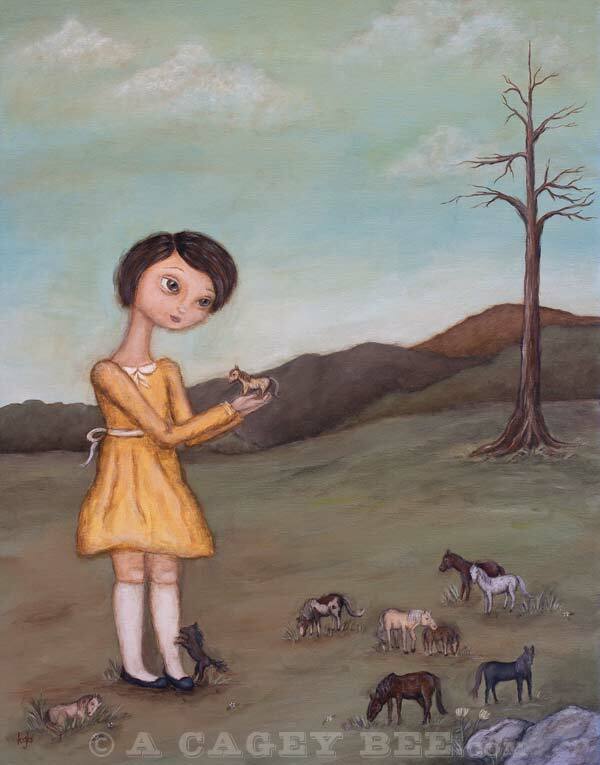 I seem to think pocket sized horses would be quite a bit easier to corral, no? Thank you again for all the lovely messages of support. I know it seems crazy to spend money on a pet when there are real problems in the world, but when I think about how much joy she gives me on a day to day basis…well, it’s a small price to pay! There is just something about the way pets love us unconditionally that is incredibly special. Sparkle is a part of our family & I hope she’ll be able to run (or at least walk) by my side for many years to come. 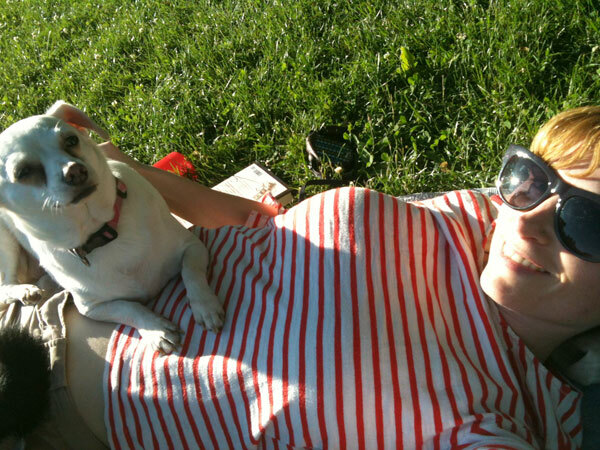 me & the princess this summer – of COURSE she has to lay on my belly! 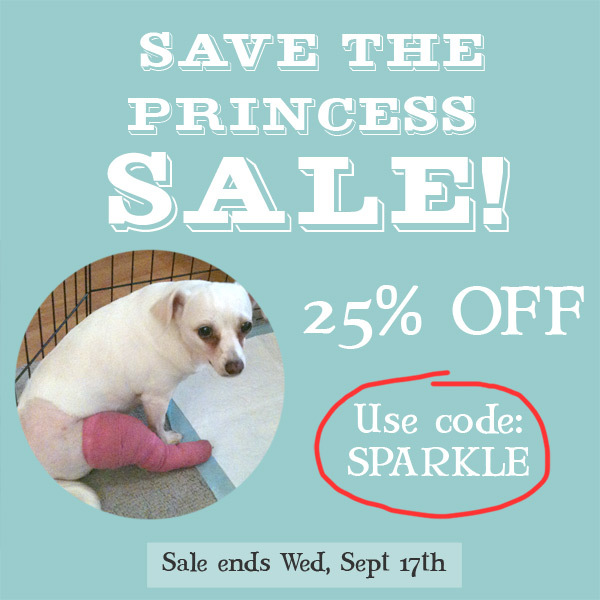 Previous postSave the Princess SALE!